In celebration of this year’s upcoming Mother’s Day, SuccessStory will be featuring posts throughout this week related to celebrating the power of successful working mothers everywhere. Today, we are recapitulating the profile of the fashion industry's most powerful journalist whose influence does not just hold sway within the world of fashion, but also that within media, arts, and entertainment. Get to know more about Anna Wintour and watch this space for more of our Mother’s Day 2017 coverage. If you’ve seen The Devil Wears Prada starring Meryl Streep and read the original novel from which the film is based upon, then chances are that you might have heard about the real-life figure that inspired the pop culture phenomenon. 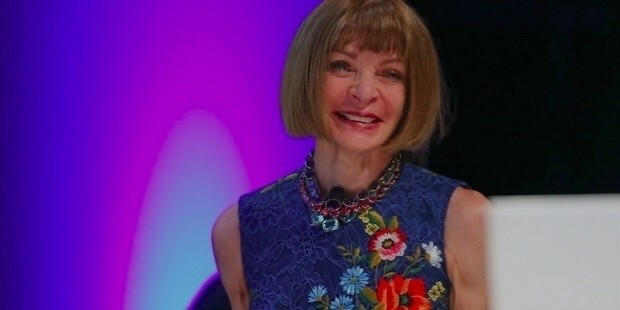 Anna Wintour is undoubtedly one of the most well-known and highly influential figures in the fashion industry due to her position as the editor-in-chief of Vogue Magazine in the United States. With her distinctive signature look of a pageboy bob hairstyle and her eyes shielded by dark sunglasses, Wintour is widely regarded by the press and among her peers in the industry as a champion of style and beauty. However, she has also received heavy criticism from her detractors regarding on her personality and the business strategies for the magazine she runs among other things. 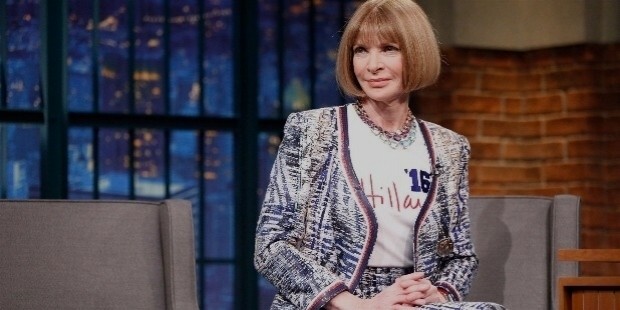 Love her or hate her, there’s truly no denying that Wintour reigns supreme as the fashion world’s gatekeeper, tastemaker, and power broker. Wintour was born in London in November 3, 1949 to a British father and an American mother, and has four other siblings in her upper-class family. Her love for fashion was already apparent during her youth when she frequently rebelled against the strict uniform dress codes of her school, as well as devouring countless fashion magazines that would come to hone her eye for aesthetics. London was all the rage during the Swinging Sixties era, and Wintour fully embraced the changes in society that was happening at the time. 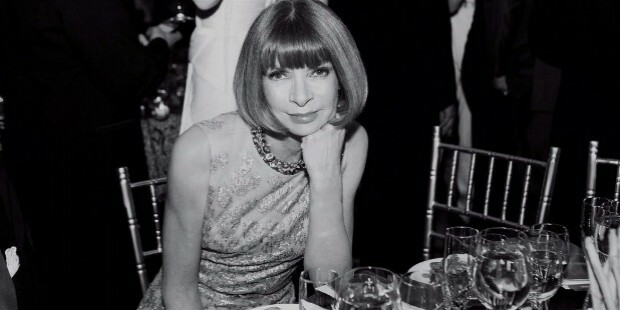 It seemed that Wintour’s inevitable career as a fashion journalist was already in her blood considering that her father, Charles Wintour, was the editor of the Evening Standard, and he even declared to her that she would one day become the editor of Vogue. Determined to make her father’s prophecy come true, Wintour applied for fashion-related jobs after dropping out of school and started out as an editorial assistant for several London-based magazines. With her keen eye for spotting trends and organizing innovative photo spreads, she quickly rose up the ranks and acquired bigger and better jobs in more prominent glossy titles as the years passed by. 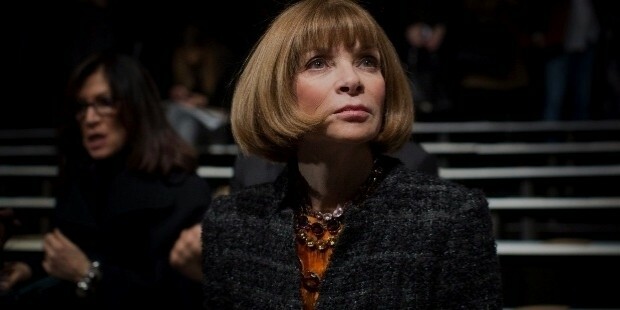 In 1975, Wintour made the momentous decision to move to New York City as part of her plan to become the editor-in-chief of American Vogue. But before this would even become a reality, she held positions as a fashion editor for titles like Harper’s Bazaar and New York Magazine. She gradually began to attract the attention of fashion publication executives for her exceptional talents in producing forward-thinking photo shoots and collaborating with the best photographers, makeup artists, and hairstylists. Soon enough, her dream and her father’s prediction happened in 1988 when Conde Nast, the publishing house of American Vogue and other top lifestyle magazines, hired her as the title’s editor-in-chief. The appointment was widely regarded by the press as another significant epoch in the magazine’s illustrious history since Wintour’s vision for Vogue was to push the boundaries and explore the future of fashion while also educating readers on other cultural topics of interest. Indeed, the shift was immediately apparent in her very first issue as editor with the November 1988 cover featuring a model wearing a very expensive haute couture embellished jacket paired with a relatively affordable pair of denim jeans. Since then, Vogue has reasserted its status as a trailblazer by showcasing impressive fashion editorials and noteworthy essays and articles, where nothing would go to print unless it passes the extremely rigorous standards of Wintour. Wintour has also gone beyond the call of duty outside of her editorial role in Vogue by championing the work of young and emerging designers as a way to introduce readers of the magazine a new breed of stylish talents outside of the usual suspects. Furthermore, her front-row presence in runway shows during the biannual Fashion Weeks is indicative of her support for a particular brand or designer. Despite her prominence within the fashion industry, Wintour was relatively unknown in the mainstream consciousness until the publication and release of The Devil Wears Prada in 2003, written by her former assistant, Lauren Weisberger. Despite Weisberger’s claims that the fictional character of Miranda Priestly was not based on her former boss, many people in and out of the fashion industry still believe that Wintour was the main inspiration for the novel’s primary antagonist, since the character also happened to be an editor of a popular fashion magazine. 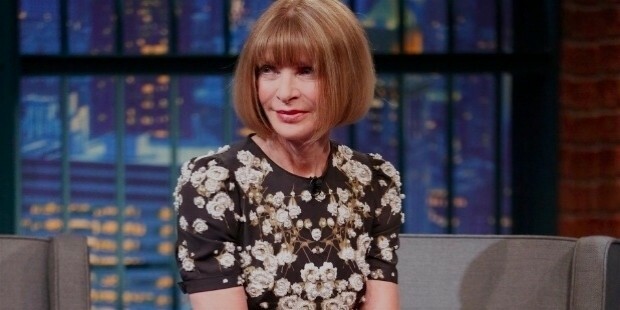 When the film adaptation of the book came out later in 2006, Wintour’s public profile was expanded to a wider scale that everyday people on the streets of New York can recognize her every time she enters the building that houses the Vogue offices. Using her newfound celebrity to her advantage, she approved of the production for a feature film documentary called The September Issue directed by R.J. Cutler. Cutler and his team were given unprecedented access into the life of Wintour, her professional relationship with Vogue’s creative director Grace Coddington, as well as an exclusive behind-the-scenes look into the making of the magazine’s biggest annual issue every September. 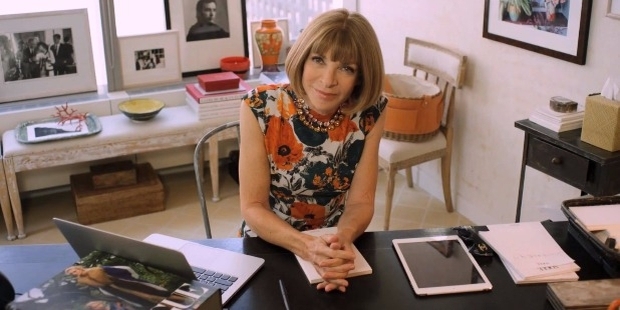 The documentary proved to be a hit with critics and audiences as it helped humanize Wintour to the eyes of the public, and simultaneously proving that her abilities as an editor and businesswoman is unquestionably powerful. Wintour’s first marriage with prominent child psychiatrist Dr. David Shaffer resulted in the birth of her two children, Charles and Katherine Shaffer. She has since divorced from Shaffer and has entered into a committed relationship with another high-profile divorcee, the American business executive, Shelby Bryan. Wintour is also a philanthropist and serves as a trustee for the Metropolitan Museum of Art, where she handles organizing duties for the museum’s exclusive and glamorous annual Met Gala. Outside of fashion, she is also supportive of multiple charities such as raising funds for AIDS research, as well as being involved with American politics by helping the election campaigns of Barack Obama and Hillary Clinton. 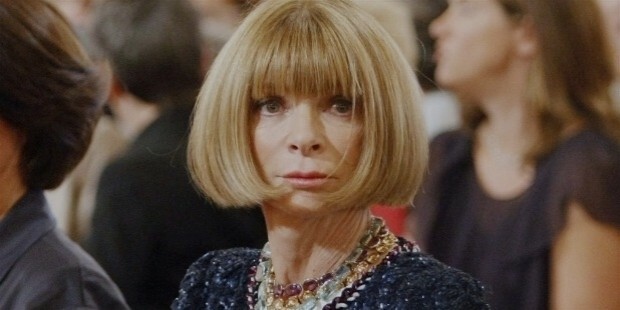 Wintour’s significant contributions to fashion on a global scale has provided her with multiple career milestones. Chief among these achievements was her appointment as Conde Nast’s artistic director in 2013, which gave her greater responsibilities to manage the visual direction of Vogue’s sister publications. Another major highlight was the Met Museum’s decision to name a wing of their building in her honor: the Anna Wintour Costume Center, which houses the collection of the Costume Institute and was endowed by philanthropists Lizzie and Jonathan Tisch. Her most recent achievement was when she was made a Dame Commander of the Order of the British Empire by Queen Elizabeth II during the 2017 New Year’s Honours.